Starring: Paul Teutul, Sr., Paul Teutul, Jr. The series is a study of the interplay between the Teutels, Paul Sr. and Jr., and the stress that both experience when creating motorcycles as works of art. Black Widow - Episode 1: Paul Teutul, Sr. and his son Paul of Orange County Choppers create an incredible Black Widow theme motorcycle. They battle an impossible deadline, last minute problems and each other as they race to complete this one-of-a-kind masterpiece. 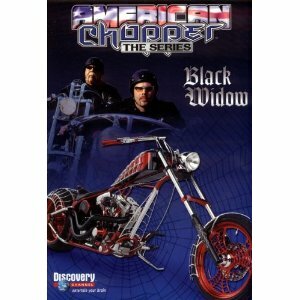 Black Widow - Episode 2: With the deadline for the Black Widow theme motorcycle looming, the pressure mounts at Orange County Choppers. The crew races to finish it in time for one of New York City's biggest trade shows.